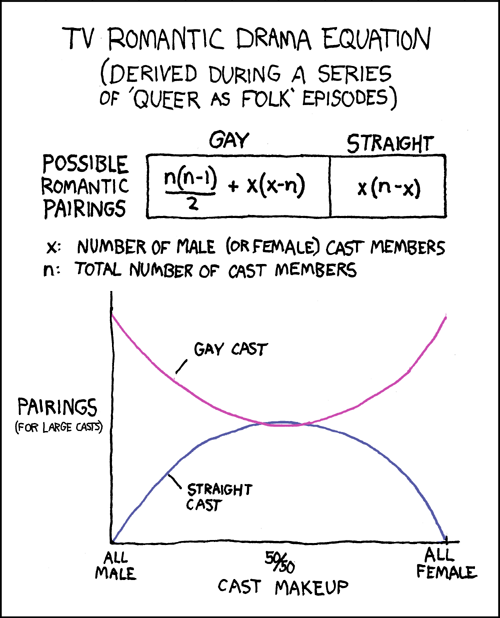 Some friends turned me on to xkcd last week and it instantly rocketed into my top five webcomics! (Yes, I went back and read the entire archive in one sitting...) It has a geeky yet quirky appeal that I dare say will appeal to my fellow Far Side and Userfriendly fans. If, like me, your reaction was to laugh while computing the first and second derivatives of the two functions, you owe it to yourself to become a regular reader.